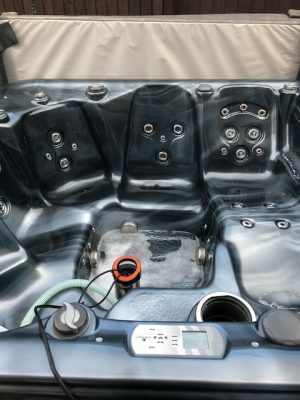 Here we have some examples of hot tub repairs and services we have carried out in Nottingham. 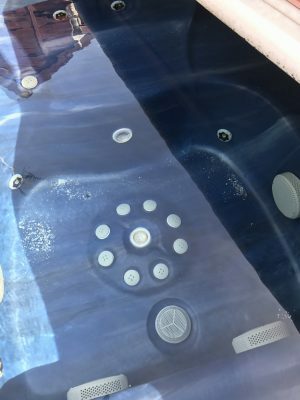 Did you know that Healthy Hot Tubs provide a hot tub repairs service in Nottingham and the surrounding areas? Now you do. So if you have a problem with any hot tub, feel free to give our local engineers a call. Also noteworthy is our speciality in Danz Spas and Tubs 2 U. We know all of the Danz spas and Tubs 2 U models from the original Atlantic, Americana and Aurora to the new Danz Spas Ultimate and Rhine. So if you have a CLDF or E1 error code, if you are having a nightmare figuring out how to use preheat, we are the DANZ SPAS go to company. No other company knows more about these tubs. Before we arrived at the customers house we always try to gather as much information over the phone. Thereby if we can solve the issue over the phone we will. In brief on this occasion the customer was getting a flow error. Firstly are the filters in good condition. Secondly can you see a flow of water. The answers we received led us to believe a call out was required in this instance. To Summarise our engineer found the Hawil flow switch was the problem. Tip. 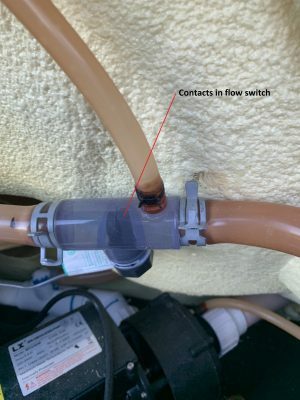 The flow switch can get debris stuck between the contacts which in this instance was causing the problem. Importantly these contacts need to touch (the flow pushes them together) for the tub to run. Therefore there is enough water running through the heater to prevent it boiling and causing a dry fire. Finally, a simple unscrew and clean of the contacts where all that was needed to get the hot tub back up and running. A new customer in Mansfield, Nottinghamshire requested a healthy hot tub service. The hot tub looked in good health but over time the pipes can become full of debris. A regular healthy hot tubs full service will help to keep your pipes clean and hot tub running. 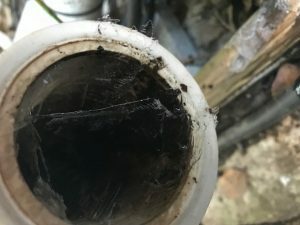 Our engineer ran a system flush through the hot tub pipes. Consequently this removes bio-film and anything nasty that may have taken residence in the tub pipes. We gave the tub a thorough service checking all components and performance. Furthermore we give the tub a good scrub removing jets and hoovering out any debris and water. To see what is the bare minimum we carry out on every hot tub repairs service in Nottingham check out our service page. Finally the hot tub is refilled, water balanced and checked all over again….. yes again! leaving another satisfied customer. Most of all it is important to have a regular real service and not just the cheapest. Especially relevant to customers is the fact a real full service will look at the whole hot tub, while a cheap service will just be a quick look and clean. If you want to know more about the difference just ask us, we know our stuff and are confident in our services. 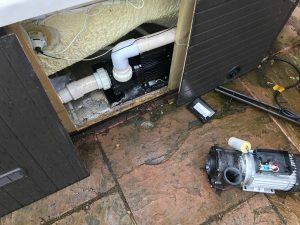 Having received a hot tub call out to a customer whose hot tub had stopped heating, our engineer quickly recognised calcium deposits in the water. Nottingham has some very hard water areas so calcium build up can be a problem for hot tub owners if not checked regular. On inspection of the heater calcium had formed around the element and caused this to overheat. 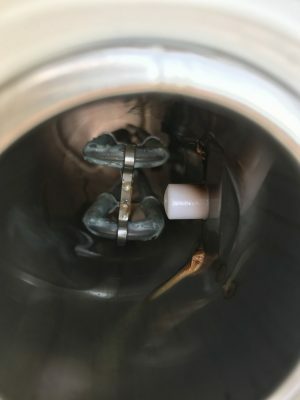 You can see the outcome of the scorching on the white pressure switch. Firstly our local Nottingham hot tub repair engineer changed the heater and checked it was heating. Secondly we advised the customer on the cause of the problem. This was then followed by a tutorial of water hardness prevention. Finally after checking for any other faults, we left the customer happy. A new customer in Bestwood village gave us a call advising their hot tub was not heating and tripping the electrics. After talking them through several possible easy causes, it was determined a call out was required. Our healthy hot tubs Nottinghamshire engineer visited. Firstly after carrying out diagnostics it was discovered the two speed circulation pump motor had broken. 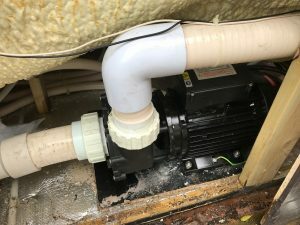 A new pump was needed and fitted. 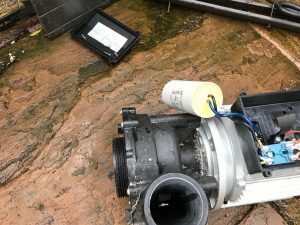 The broken pump had also been leaking from the wet end before finally giving up the ghost. You can see from the picture where the water had been leaking (the white marks). All our parts carry a one year warranty for the customers peace of mind. The hot tub was running beautifully after the new pump was fitted. Another successful hot tub repair. Healthy Hot Tubs cover the whole of the UK for hot tub repairs and servicing including Nottingham, Mansfield, Beeston, Carlton, Sutton In Ashfield, Worksop, Newark, and Hucknall to name just a few.